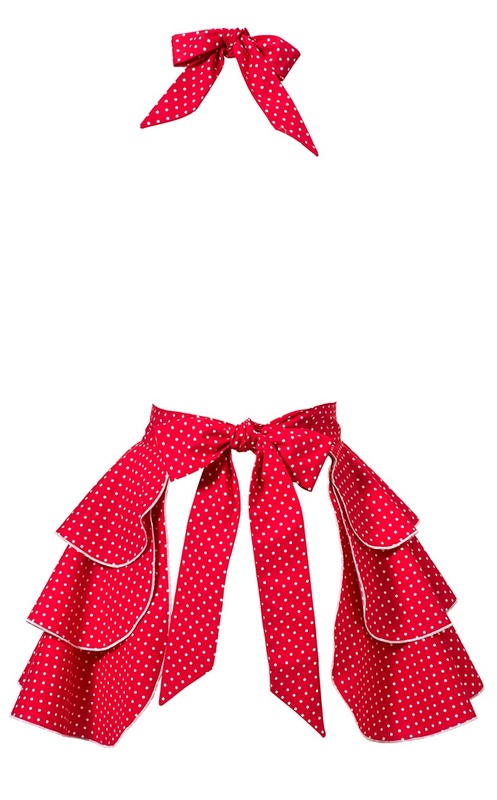 This retro hostess apron is just a fancy delight for any party hostess. 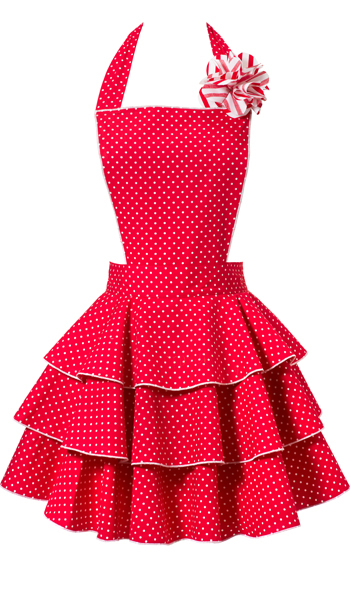 Three layers of shirred delight gives it that feminine and almost girlish touch to the skirt. All eyes will be on you as you walk from table to table entertaining your guests with good food, good wine and good company!